I remember being a right nosey little rugrat and rummaging through my Mum's makeup drawer and finding all sorts of brushes and sponges knocking around there but not having a clue what any one of them was for. Did that stop me from smushing them against my face and hoping the leftover powder or blush would rub off? Like hell it did. I'll never forget her blush brush which always had the sparkly remnants of her Barry M bronzer/blush of it on it being the best brush I'd ever seen because of the sheer size of it. Seriously, compared to the size of the blush or bronzer brush I use now, that thing was mahoosive! I have no idea why such a big brush was needed but apparently it was and I'm still sure she has that knocking around somewhere although she knows better than to pull it out in front of me. Just call me 'Brush Police'. Seriously, I've been known to go in to full on lecture mode if someone pulls out a raggedy and filthy looking brush out and start attacking their face with it. With that being said, I like to make sure my brushes are always clean and I have them in an order where I know that the ones I use most are in one pot and the rest are in another. I like to call it an organised mess but I'm sure my Mum would use other words so we'll just gloss over that. My go-to brushes have always been Bobbi Brown but recently, I've been reaching for this handy set from Crown Brush of synthetic brushes which has really impressed me. The 16 Piece Professional Set from Crown Brush has seen a hell of a lot of love from me over the past few months although there are some clear frontrunners while others could probably be switched up for something else. Sounds like everything you could possibly need, right? Well, kind of. While I may not make as much use out of the brushes as I probably could, or a professional makeup artist might, I have to say that they are all incredibly soft and do make applications a whole lot easier. 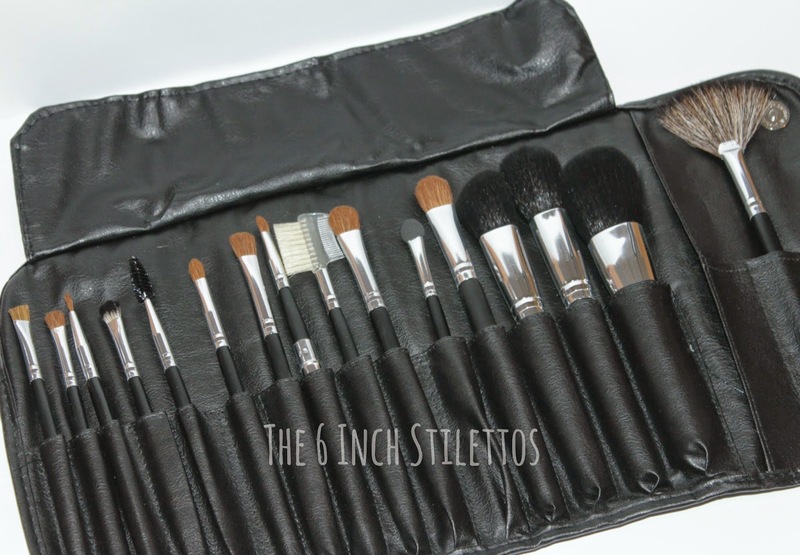 The brushes that wouldn't have gone amiss in this set would be a foundation brush, concealer brush, eyeshadow blending brush and a duo-fibre stippling brush. If those badboys were in this set, it would be an altogether all rounder for everyone; makeup artist or makeup newbie. I love makeup brushes so if there are some particular ones that you think I should have in my stash (if I haven't already got it) then let me know in the box below! You can pick up this Crown Brush 16 Piece Professional Set for £39.99 from HERE.